The History of Pho – Have you ever known? 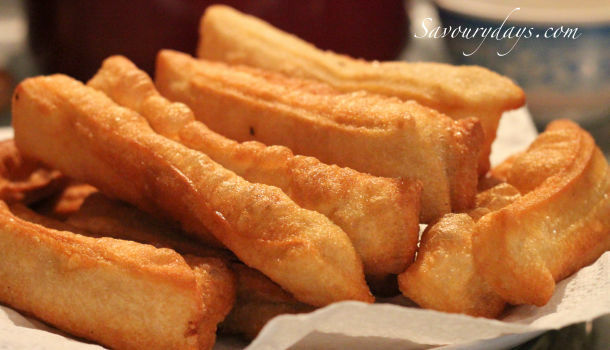 If I give you a few seconds to list the most impressive food of Vietnam, which one would cross your mind first? 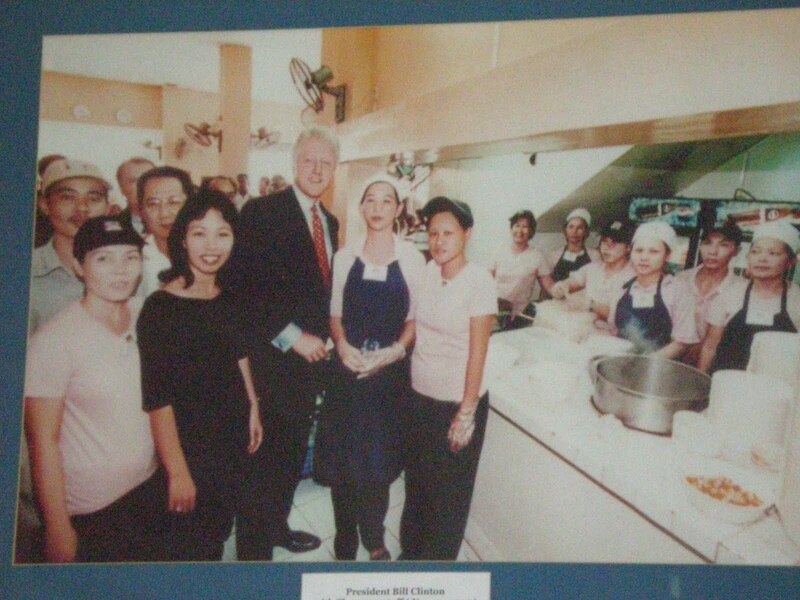 Bun cha – the food has been tasted by President Obama in his visit to Vietnam recently or Pho – the famous food that former president Bill Clinton chose in his visit to Vietnam in 2000 and has been brought all over the world by Vietnamese people living oversea? Pho Bo – The fragrant broth, savory beef, and springy rice noodles captivate everyone in their first time experience this food. 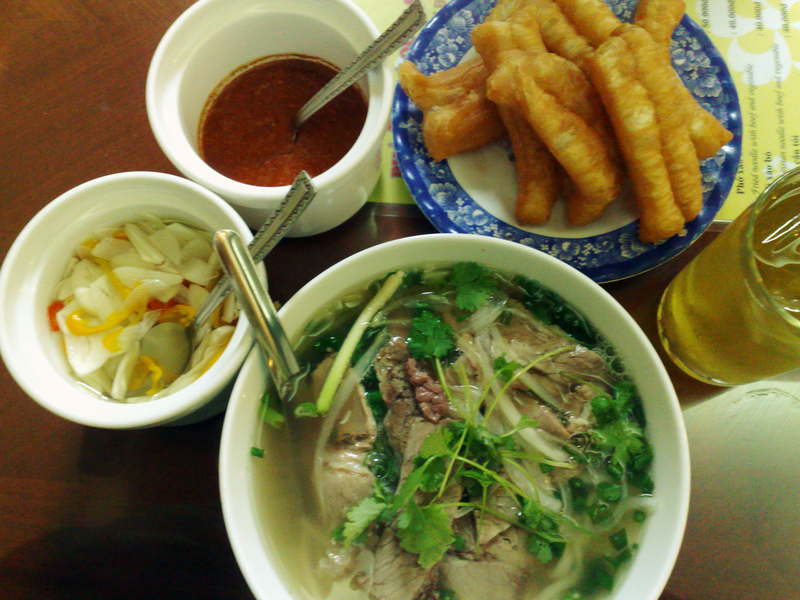 Pho is a relatively new food in Vietnam. It was born at the beginning of the twentieth century in and around Hanoi, the capital of Vietnam, located in the northern part of the country. 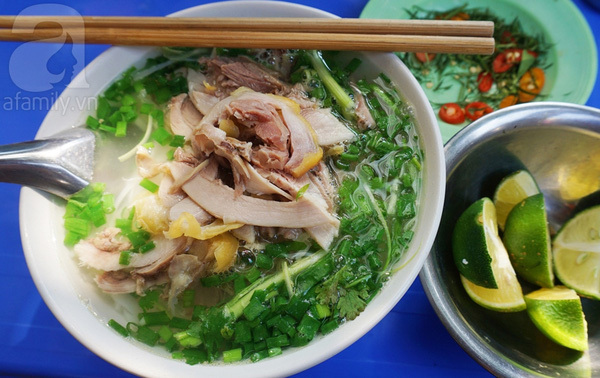 Some say that long before Pho was popularized on the streets of Hanoi, it was being prepared in Nam Dinh, an agricultural province located about fifty-five miles southeast of Hanoi. Other theories exist, but what is certain is that pho was created from a collision of circumstances. The historical essay by Trinh Quang Dung named “100 Years of Pho” explained the first appearance of Pho. During the French colonial time, a noodle soup called Xao Trau often prepared and sold by Chinese food vendors was very popular. 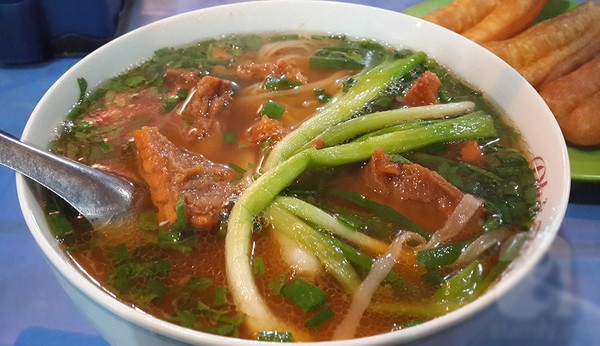 It was simply made, with slices of water-buffalo meat cooked in broth and rice vermicelli. Most of Pho customers were Chinese working on the merchant ships that sailed up and down the Red River from Yunnan Province past the edge of Hanoi into the Gulf of Tonkin. 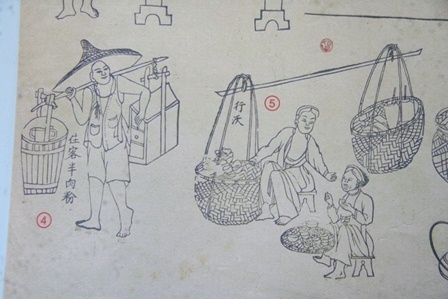 French and Chinese merchant ships employed many Yunnanese, who likely identified Nguu nhuc phan as being akin to Yunnan’s “crossing the bridge” noodles. (rice noodles, super-hot broth, meat, and vegetables). The beef noodle soup caught on with the Chinese workers and, soon thereafter, with workers hired by Bach Thai Buoi, a legendary Viet industrialist who favored employing ethnic Vietnamese as an advantage over his Chinese and French competitors. It is likely that as the dish caught on, the street hawkers became more competitive and abbreviated their distinctive calls as a means to attract customers. “Nguu nhuc phan day” (“beef and rice noodles here”) was shortened to “nguu phan a,” then “phan a,” or “phon o,” and finally settled into one word, Pho. When the French Colonial period ended in 1954 and the Geneva Accords partitioned the country into North and South Vietnam, about a million Northerners migrated southward, heralding the arrival of Hanoi-style pho to Saigon. In the agriculturally rich and freewheeling South, pho broth developed a sweet edge as cooks added a touch of Chinese rock sugar. To this day, the regional pho fight between Hanoi and Saigon (North versus South) rages on. 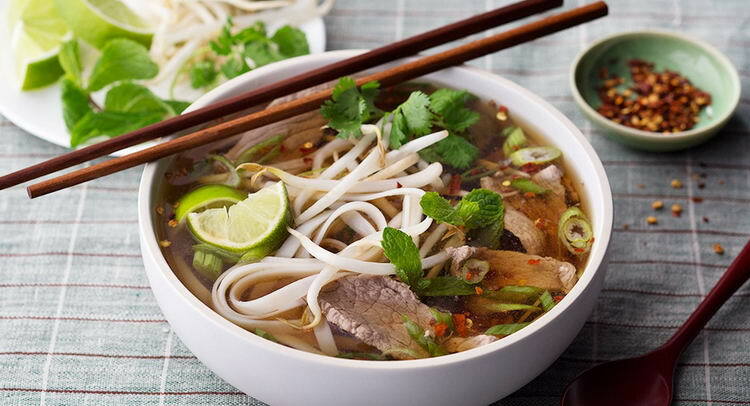 The original pho was a simple bowl of broth, noodles, and boiled beef. Then cooks began offering slices of rare beef as an optional add-on. In 1939, pho restaurants began selling chicken pho (Pho Ga). It usually happened on Mondays and Fridays, and was likely due to the government forbidding the sale of beef in order to control the slaughtering of draft animals for food. During 1960s, war time in Hanoi, Pho was served with leftover cold rice, baguette, and fried breadsticks (quay) in place of rice noodles. Other versions of pho, such as pho with beef stewed in red wine (pho sot vang) and sour pho (pho chua), never totally caught on. Indeed, beef pho remains the favor, and chicken pho ranks second, but Vietnamese cooks are always innovating. Pho is always a special food to Vietnamese people. It’s will always be one of the proud of the Vietnamese to introduce to worldwide friends who want to explore about the culture and the culinary of our country. In the weekend, escape from busyness in daily life, just relax and take time to discover the walking street in Hanoi and feel the capital with the peaceful moment. On Friday evening, Saturday, Sunday, instead of picture of crowed road, Trang Tien, Ly Thai To, Hang Bac, Hang Trong, Hang Gai and Hang Dao street become the unique space where not only the local people but also foreign tourist relax and get new experiences. Take time and walk around the old town located surround Hoan Kiem lake now, what I feel is the green and spacious atmosphere without smog from vehicles. Fresh and green space without vehicle. The streets now have its own memories in the past, which seems to be separated from the noise outside. You can see the small stores selling To He, the traditional toy for Vietnamese children which can be eaten, lanterns or some street venders with many special foods, which seems to be only in the past. An ancient Hanoi returns in the walking streets. In the weekend, some pictures of the mother pushing pram go into the streets slowly, young people with smiles under brilliant sunshine sunset can bring you peaceful fellings. There are many middle – aged men playing the chess or doing exercise. Besides, some families are training their children how to travel by bicycle on the small one. The streets become peaceful with walking spaces, friendly people not being separated by layers of glass doors, helmets, cars exhaust. All of these highlights make you enjoy Hanoi city – city for peace as recognition of UNESCO. If you are 8X, 9X generation, I am sure you will get some special feelings like me when remembering of the traditional games which close to our childhood. It is great when sitting under the shade of the large banyan tree and playing these games with our friends. Traditional game is intrinsically Vietnamese, arousing a strong sense of nostalgia and familiarity in Vietnamese people around the world. In the center of walking street, near Cam Tu monument, many people are gathering and playing some traditional games such as bamboo jacks, mandarin square capturing, tug of war, etc. I have not seen these funny games for a long time. I think it seems to disappear in a modern life. Mother teaches her sons how to play mandarin square capturing in the walking street. I feel happy when seeing the beloved images which seem to be in the past, all of them are my beautiful childhood memories. There are many children often making friends with the technological equipments, playing video games after school time excited at the traditional games, which is indispensable for them in the past. Both the children and the older are fascinated with the return of the traditional games in the center of Hanoi city. It is not only games for children, but also brings Vietnamese unique culture. You can easily feel the happiness in their face when experiencing again the childhood games, which seem to be in their memories, which make them feel younger. Besides, there are many foreign tourists getting new experience with the unique and simple games. This is opportunity for them to learn more about Vietnamese culture and close to friendly local people. Just with some small things such as a rope, a few bamboo sticks or pebbles, these games can attract you strongly, making you forget time and space. Intelligent calculations, ingenuity, fun and especially high community are the special characteristics of these games. They both help children develop thinking skills, creativity, ingenuity and help them learn about friendship, love of family, home and country. Young people are excited at the game with stones. As I know, bring traditional games back to Hanoi people is a project of a group of young people from MyHanoi Club, founded in 2006, they want to help young people closer to the folk games which seem to be forgotten. Their efforts inspire me and other people in reservation our traditional games when I see some families bringing ropes teaching their children how to play with them. If you are the first 9X generation like me, do you remember some games such as bamboo jacks with small bamboo sticks and rhymes, cat & mouse game, mandarin square capturing with small stones and squares, tug of war? If you are in Hanoi in the weekend and have free time, come and experience these games again with me. See you in the walking streets! You are having a short vacation in Southern Vietnam with Saigon, Cu Chi Tunnels and some leisure days just for relaxing on the beach of Mui Ne or Phu Quoc. Mekong Delta is worth to be added on your list, yet you just have one day left for this excursion and want to discover the authentic lives of locals and the water way – then go to Ben Tre. Ben Tre which has long been known as a fertile land of Mekong Delta is an interesting destination for travellers who are interested in exploring an abundant of tropical plants as well as busy villages on waters. While it takes you almost 4 hours from Saigon to Can Tho – that makes visitting Cai Rang Floating Market in day almost impossible (by the way, you are highly recommended to see the floating market in early morning when it is busiest). Coconut Island, in another way, is much closer – you can reach this place by 1.5 – 2 hours driving from Saigon centre. Take a “xe loi” ride through lovely and peaceful villages of locals to see green rice fields and gardens. Enjoy a boat trip through small canals with unique tropical scenery and of course you will also have chance to taste delicious tropical fruits. See how locals make bricks in centuries-old traditional methods, produces Hu Tieu noodles, make rice paper by hand…. What does “Bia hoi” mean? In English, “beer” is beer and “hoi” means gas. It is a type of draft beer popular in Vietnam, especially in Hanoi. The alcohol level of this beer is usually at 3%. It is very light-alcohol beer. If you are in Hanoi, you should try a glass of “bia hoi’ instead of a bottle of Henieken or Tiger. I have to say that if you are beer experts or just want to have a unique experience in drinking a cup of local beer in Vietnam, please do not skip “Bia hoi”. I have lived in Hanoi for more than 20 years and my farther is a real Hanoi man. I have been watching my city change day by day in every aspect but there are one thing which never changes is drinking “Bia hoi”. It is not only a normal type of beer but also a traditional culture for people living in Hanoi during a long time. My farther is an exact example for this. He was born in Hanoi and spends nearly all of his life in Hanoi. He is getting older and many habits were changed day by day but he always keep drinking two cups of beer in a small store at the corner of the a street near our house. When I was at secondary school, I always ask my father why he drink “bia hoi” every day and talk to him that it will be harmful for him and always want him to give up it. He never answered my questions and still keeps drinking until now (just only one – two glass per day). However, when I grew up, I never ask him about it anymore because I loved drinking “bia hoi” too. Sometimes, we go to drink one or two glass of beer at the weekend when I do not have to go to work. My father drinks every day but for me just only Sunday with him and Saturday with my friend. I will tell you 5 reasons why drinking “bia hoi” is considered as a traditional culture of many Hanoi people. For older like my farther, drinking “bia hoi” make them get back to their past. In the past of Hanoi, you will have to queue to buy a glass of “bia hoi”. Our long story will start at my grand-father’s age. However, I will tell you the brief. The first beer factory in Hanoi was built in 1890 at Hoang Hoa Tham Street with the name “Hommel Beer” factory. They just had 30 workers and produced around 100 liters per day. It means that if you go late, you cannot drink beer. From 1890 – 1959, beer was a rare drink in Hanoi though it was not expensive but the limitation of technology and war made us have difficulty in producing “bia hoi” with a large number. After 1970, “bia hoi” was more popular and we can produce more and more. However, they did not sell so much beer for one buyer because they do not want buyer to be drunk and make bad things. Beside, at this period, drinking beer culture was the same with our nowadays’ bus-culture. The disables and women or older will be at the first places. Next place is for buyer who had pence. Most people always kept pence for themselves to buy “bia hoi”. That’s why “Xich lo” drivers or seller at market were always the familiar customers. After many changes of the name and the development of economy and social, now this factory has name HABECO (Hanoi Beer Company) and they have many famous products which are canned or bottled such as Hanoi beer, Truc Bach beer. However, their most popular product is still “Bia Hoi” which is produced every day and contained in keg of 50 litters. Unlike as canned or bottled beer, “Bia hoi” is not included any preservative because Hanoi Beer Company will collect their keg in the early morning from sellers and renew them every day. Therefore, there is no stocking of ‘bia hoi’, and outlets must forecast accordingly. They must purchase just enough to last one whole day. ‘Bia hoi’ is best when served early in the day when sellers just receive their new keg. There is only one type of glass to drink “Bia hoi”. If you try to drink “Bia hoi” with other types of glasses, I will have to say that you did not enjoy a real “Bia hoi”. These glasses do not make the beer more delicious or have a better taste. However, simply, “Bia hoi” have to be inside these glasses. This glass was used to drink “Bia hoi” for the first time in 1960 and then it has become a symbol of “Bia hoi” drinking culture in Hanoi. You will only see this glass when you drink “Bia hoi” in Hanoi. No places in the world have these glasses. They are recycled from broken glass pieces and there are only one village in Vietnam can produce these glasses. You can find these foods easily when you drink “Bia hoi” in Hanoi. All of “Bia hoi” sellers can serve you these foods. They are not expensive and very popular in Vietnam. I hope that all of you now know how to drink beer like a local guy and learn more about one of the unique cultural features of Hanoi. If you travel to Hanoi, do not hesitate to try “Bia hoi” once time because it is very worthy and valuable. No places in the world can offer fresh “home-made” beer with a cheaper price then Hanoi. How to choose a good Halong cruise? Halong Bay is famous for its beautiful scenery with thousands of limestone islands emerging from its emerald water. As part of your trip to Halong Bay, you must be tearing your hair out trying to struggle with information offered from a huge number of travel agents, tour desk and hotels to find the best cruise. To help you minimize the time for planing the Halong Trip, I would like to offer these tips below and hopefully it can be really useful for you. Is traveling on your own is always cheaper than booking a tour from a travel agent? This may be true when you have a big group and there is one “travel expert” leading the tour but it is wrong for Halong Bay trip. Let’s imagine, you have only 2 people. You may go to bus station to catch a bus to Halong then take a taxi or “xe om” (taxi motorbike) to the pier to reach your cruise. It may take a lot of your mean time especially when you decide which boat or cruise should be the best among many offer. Also, you are not aware of the route you choose, the food you are served or the bedroom you stay until you get on that cruise. Instead of this headache, booking a tour to Halong Bay from reliable agents is really a big deal as you can rely on them for a packaged service. There will be a bus and driver coming to your hotel lobby in Hanoi Centre and pick you up to the booked cruise then you are free of mind to enjoy the trip until the car takes you back to Hanoi. Sometimes, we receive some questions like: “I am not going to swim, should I take a one day trip?” or “Is this worth spending a night on a junk?”. All of these questions are relevant to your time bound. Many are time limit, you just have one day to Halong, so one-day tour is an option for you. Just be noted that most of the travel time is on the road and you can just spend around 4 hours on the bay. Activities for a day trip are visiting 1 cave such as Sung Sot or Thien Cung Cave, going kayaking, having a lunch on boat. Many others have longer stay in North Vietnam and want to go further in Halong, staying over one night or two will be the best choice for whom to discover this beautiful heritage site. There are hundreds Halong junk cruise for your trip so the prices are varied. These “floating hotels” can be divided into Superior, Deluxe and Luxury cruise similar to hotel on land. The price range for Superior cruise is from $99 to $139/person for 2 days 1 night. Deluxe cruise costs from $160 to $245/person and higher or even double for Luxury cruise. Please check what are included in your package. You may have the full boat trip, meals and tickets fees but transportation from Hanoi to Halong and return is excluded. This small extra can be required if you decide to book the cruise. Moreover, the peak season for Halong Bay is from October to March the next year, so the price can fluctuate just a little and often cruise are fully booked soon. Recently, many more people prefer going to off the beaten path of Halong to Bai Tu Long Bay as this is not too touristic. You can get the enjoyable moment and travel in your own style. However, for any first time tourists to Halong, you are encouraged to choose a classic route to famous and typical caves in Halong such as Sung Sot Cave, Titov Island, Soisim Beach, Thien Cung Cave and go kayaking to Luon Cave. If you spend one more day, the route near Cat Ba island is a nice choice as well. For almost all cruises, you may experience the Tai Chi class for early morning, cooking demonstration before a main meal, fishing squid (seasonal) and singing karaoke on boat. Travellers in higher quality cruise may have massage, jacuzzi and sauna bath inside their room. Be noted that all cruises in this article are sharing ones, you join with other tourists. As Halong Bay tour is a must to Vietnam, I hope these information above might be helpful for your perfect Halong trip. All the pagodas throughout the country celebrate on Full Moon Day of Kason. This ritual commemorates the date 2500 years ago when the Buddha gained enlightenment while mediation under a Bodhi tree. Pilgrims pour water on this tree in pagoda compounds to keep them fresh in the summer heat of May. There are so many banyan tress in various regions of Myanmar. The majestic trees give cool shade and grandeur as well as dignity. grace and charm. Water pouring ceremony to the Bodhi tree in the month of Kason had been performed successively since the time of Myanmar monarchs to the present day. The performance of the ceremony is supportive not only to the religion and tradition but also to keeping trees green and lush. The weather in June may not support for outdoor activities through the country, even festivals. Only the biggest one – Pakokku Thiho Shin Pagoda Festival takes place in Pakkoku, Central Myanmar. Pakokku is an old traditional town on the western bank of the Ayeyarwadt river. This pagoda festival is the most important for all towns west of the Ayeyarwady and produce from the region. This festival is an occasion for farming communities in the Pakokku to come together and celebrate the end of the harvest season. Pakokku is the old town on the western bank of Ayeyawady River. This is the most important festival of the land. The festival is also occurred with a local market selling local specialties such as fried chili, tobacco, fiber bags. This is also areas growing the best quality of Tanakha, the plant to make traditional skin-protected cosmetic of Burmese people. Red robed Buddhist monks will collect alms from local people and attendees in the festival. All farmers and merchants will donate portion of their profits to the temple. The Waso festival is annually held on the full moon of Waso throughout the country. The festival commemorates the time when the Budha gave his first sermon, to five months. Pilgrims throughout the country gather wild flowers to offer at pagodas, and offer new robes to monks. The Buddhist Lent period is from the full moon of Waso until the full moon of Thadingyut. During the Waso festival, Buddhist monks are not allowed to go outside overnight or longer and they have to stay at their monasteries. Often, monks begin their Lenten days on the full moon day of the fourth month of the Myanmar calendar and ends on the full moon day of Thadingyut, the seventh month of the Myanmar calendar. It lasts for three month in total. It is said in history that a group of monks set out on a journey to pay their respects to the Buddha in the agricultural season. Because many people complained that the monks walked across cultivated fields and destroyed the crops, the Lord passed a law to be followed by monks: no monk shall make a journey lasting a night or longer during the three monks of the monsoon rains. That rains retreat is the Buddhist Lent. Following the law, monks spend more time and energy to the propagation of the Buddha’s teachings and the practice, that is, meditation, of the doctrine during that period. Laymen and laywomen try to gian merit through offering robes, alms and other essentials to the Sangha, it was a special donation to the monks during the Lent of absolute devotion to meditation. This annual occasion is called “Waso-pwe”, occasion of offering essentials to the Sangha, or “Waso-thingan-katlupwe”, occasion of offering robes to the Sangha. From this time on, Buddhist experience three months by not drinking alcohol, making donation ceremonies, reciting the Buddhist chant, keeping precepts and practicing meditation. Morever,marriage and changing of accommodation during the period are not encouraged. There are number of annual Nat festivals celebrated in Myanmar, the Nats of the region accordingly. Taungpyone festival is the most attractive and important in a village near Mandalay. Annual festival is held in September or August according to the Myanmar Lunar calendar. The believers honour the two Taung Pyone brothers, Min Gyi and Min Galay. In Buddhist lore, spirits or nats exit in many forms such as celestials or guardians of the faith, cities or villages, or even for each individual. The pantheon of 37 spirits worshipped by semi-animists are also called Nat but of a different kind. Most of 37 spirits met violent deaths as humans and by strong emotions of bitterness or anger could not pass through to their next life but remain in limbo. But rituals worship them in believing that they will be blessed and they could bring more wealth and good fortune to their daily life. This village is known among Myanmar people thanks to the Taung Pyone Festival, which is the most famous festival of Nats (spirits) in the country. This is the festival where people are allowed to make fun of each other but not allowed to get angry or take the joke as serious for all visitors are expected to smile with joy and fun. All the Nat mediums or clairvoyance and those who believe and worship Nat’s gather in the village. The usually quiet village of Taung Payone becomes very crowded for the time of the festival with all the visitors coming to join the celebrations by car, train or on foot. The village itself is a pleasant place to be. The beautiful landscape opens the view on mountains covered with palm trees. You can enjoy your stay in a traditional village hut fully made from a palm stem and leaves. Obviously the huts don’t have usual facilities – both showers and toilets are outside. So you will definitely have an interesting outdoor shower experience. Don’t forget to bring some extra longyi which will be necessary for the bathing. During the festival you can find many shops selling traditional crafts – handmade necklaces, bracelets, different children’s toys, snacks, local products. Series of 37 Nat statues on the stands are offered food and flowers, but not pork products, cash and alcohol. The mediums entertain the crowds with Nat dance with the traditional Nat music and performance during night and day. The whole area is occupied with circus and cultural dances, music and magic shows, fortune tellers and tattoo shops. Thousands of people are visiting the Nats Pavilions to consult a medium for their future prospects and fortunes. This is the festival where people are allowed to make fun of each other but not allowed to get angry or take the joke as serious for all visitors are expected to smile with joy and fun. Manuha Pagoda Festival is held annually one day before the Full Moon Day of Tawtalin. Depending on the Lunar Calendar. the festival is held in end of September or start of October. Manuha Pagoda Festival is celebrated for three consecutive days. During two days festival, pretty village girls dressed in their best parade with trays of fruit and cakes to offer at the pagoda. During the afternoon, young men parade larger than life papier mache figures they have made of heroes, celestials and animals. At night, they put on dances and plays. The next morning at dawn, they offer foods at the shrine and also to the monks. The parade of colourful paper mache figures roam around the city during the festival. The locals create colorful and beautiful decorations of images such as the Manuha King himself. tigers. cows. elephants. horses. and even some stars of today. The number of representation varies up to hundred. The parade goes on until the end of the day. Locals and foreign visitors enjoy the sight of the colorful papier-mâché figures and also the lifestyle of the Bagan locals. There are other entertainments such as Zat Pwe and Anyeint at the night time. Villagers near and far never miss this opportunity of participating the Manuha Festival. The pretty village girls dressed in their best parade with trays of fruit and cakes to offer at the pagoda.